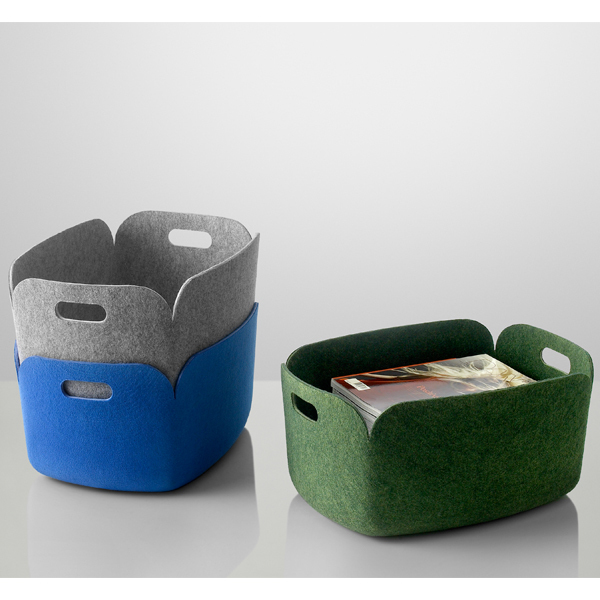 Designer Mika Tolvanen on the design of Restore storage basket: "I wanted the basket to have an non-obtrusive nature. It's a great little basket for storing magazines or any other bits and pieces. 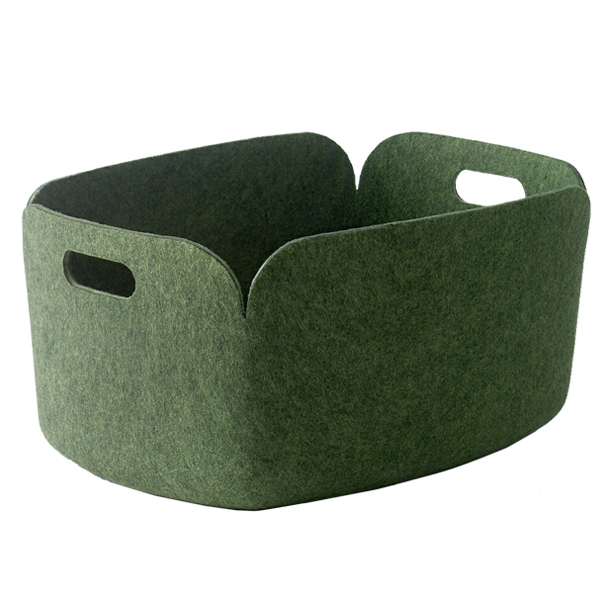 Polymer felt combined with a soft form give the basket a friendly appearance. 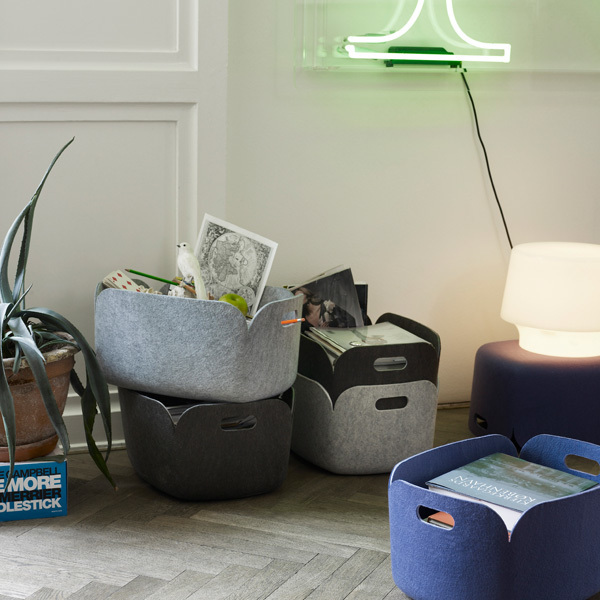 The name Restore is inspired by the fact that the baskets are made of recycled PET bottles."